The $1.00 Shoppers Drug Mart clearance got me again! I haven’t really gone in there at all in the last month but after the other day I thought I better check again. Happy I did and happy I finally stuffed my stack of inserts (and a pair of scissors) in the car – just in case! The clearance shelf was full of $1.00 items, it was hard to resist. But with the Wedding coming up (very fast) combined with the fact we really don’t need much I decided to stick to only getting stuff if it was free. 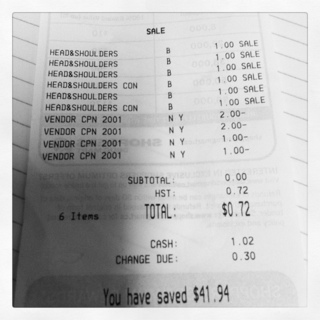 This entry was posted in clearance, free, shoppers drug mart and tagged canadian coupons, clearance, coupons, free, shoppers drug mart on May 3, 2012 by Courtnie. 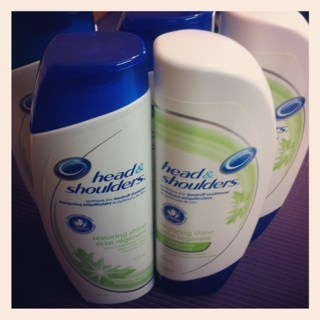 Does drug mart still carry head and shoulders restoring shine shampoo. I guess its discontinued I know someone that will pay some good money for some.